This type of seat belt combines the features of both an emergency locking retractor seat belt and an automatic locking retractor seat belt. 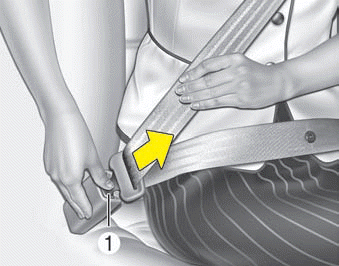 To fasten your seat belt, pull it out of the retractor and insert the metal tab into the buckle. There will be an audible "click" when the tab locks into the buckle. 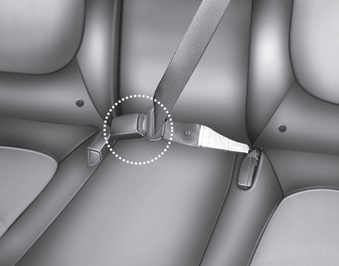 When not securing a child restraint, the seat belt operates in the same way as the driver's seat belt (Emergency Locking Retractor Type). It automatically adjusts to the proper length only after the lap belt portion of the seat belt is adjusted manually so that it fits snugly around your hips.